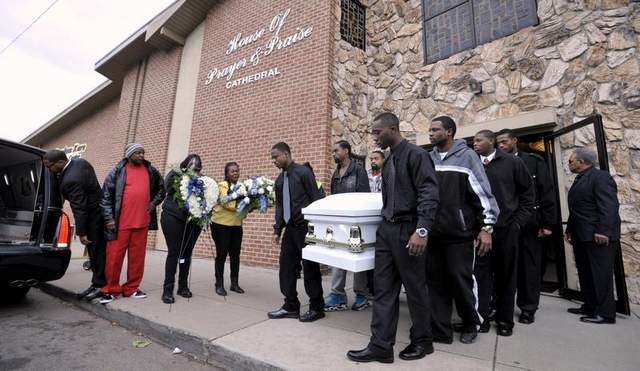 Pallbearers carry Renisha McBride to her final rest. UPDATE NOV. 14, 2013 The 911 tape re: Ms. McBride’s slaying above was published today by the Detroit News. Click on http://colorofchange.org/ to sign petition on McBride case. 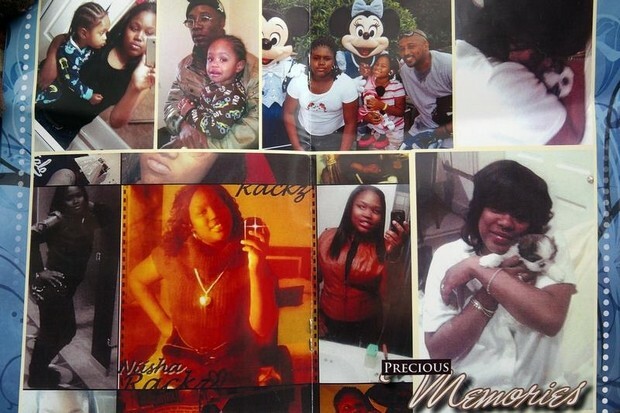 The life of Renisha McBride, cut short at the age of 19. Shoot First laws have been under intense scrutiny since the tragic killing of Trayvon Martin by George Zimmerman – who “got away with murder” – because Florida’s Shoot First prevented a proper investigation and controlled the instructions given to the jury.2 These laws, when combined with the daily reality of deep-rooted racial prejudice, create a culture of fear and violence where Renisha McBride — a young Black woman perceived as a threat — can be killed without consequence. Renisha’s family deserves justice and an end to a culture that does not value Black lives. Please join us in calling on Wayne County Prosecutor Kym Worthy and the Dearborn Heights police department to fully investigate Renisha McBride’s killing and bring the shooter to justice. Michigan enacted “Stand Your Ground” in 2006 and its law closely resembles Florida’s.4 In this case, the law can protect Renisha’s shooter from criminal prosecution if he believes that he was in danger, even if his belief is wrong and rooted in racial bias. But this tragedy and the countless others like it are preventable, if enough of us continue to speak up and demand justice. Demand that Wayne County Prosecutor and the Dearborn Heights police department fully investigate and bring Renisha’s killer to justice. And when you do, please ask your friends and family to do the same. 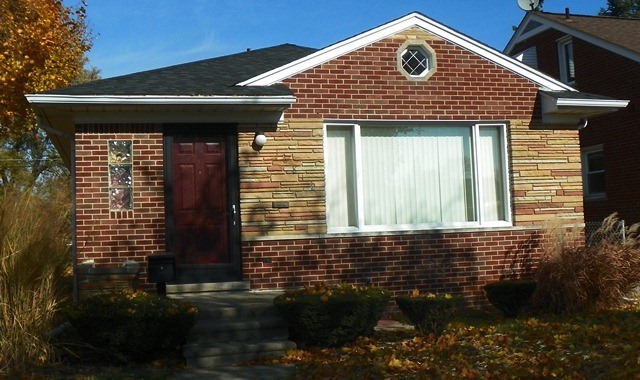 Dearborn Heights death house owned by Theodore Paul Wafer at 16812 W. Outer Drive, Dearborn Heights,MI. Wafer did not have to open his solid door and was clearly in NO DANGER from an unarmed young woman standing on his porch. VOD editor: VOD does not believe that any stand your ground law applies in Renisha McBride’s case. As stated in our earlier article, the homeowner, Theodore Paul Wafer, even if he did fear for his safety, did not have to open his door, which he did. All he had to do was call 911. Wayne County Prosecutor Kym Worthy with top asst. prosecutor Robert Moran at her side, at state legislature. She has testified there against relief for juveniles sentenced to life without parole. VOD’s stance is that this was cold-blooded premeditated murder on its face and that Wafer should be charged with first-degree murder. The Wayne County Prosecutor’s office has a disgraceful history of filing inadequate or NO charges against those who murder or kidnap Black children, as in the cases of Aiyana Stanley Jones, 7, and Ariana Hakim-Godboldo, 13. Aiyana’s killer, Detroit cop Joseph Weekley, was charged only with involuntary manslaughter. Due to the outright and evident neglect of Asst. Prosecutor Robert Moran during his first trial, the jury was hung. 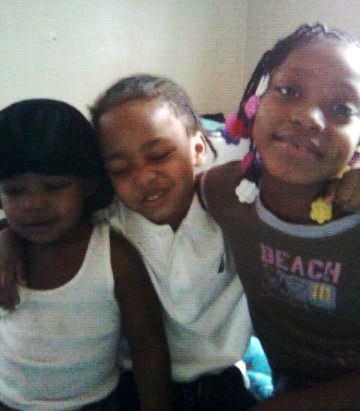 Aiyana Stanley Jones and her little brothers. Weekley shot Aiyana, 7, in the head with an MP5 assault rifle as she slept with her grandmother Mertilla Jones on a front room couch, during an early morning, military-style police raid on her home. Photos at the trial showed that police had to have seen the numerous toys outside the home while surveilling the premises for nearly an entire day. Aiyana’s cousin Mark Robinson, who the police threw to the ground outside, testified that he screamed, “There’s children in the house” as the “Special Response Team” crashed into the home. Not only Aiyana, but her two baby brothers, her mother and father, grandmother, uncle, and great-aunt were also in the house. Also read http://voiceofdetroit.net/2013/07/17/detroit-marches-in-wake-of-zimmerman-verdict/ which compares the prosecutor’s conduct in the Weekley trial to that of the prosecutor in the Zimmerman trial. 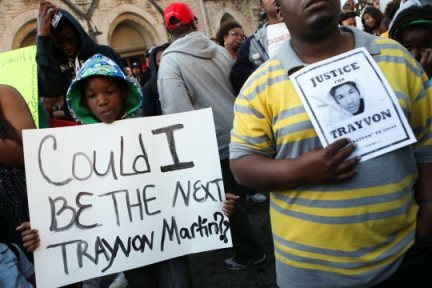 Also read http://voiceofdetroit.net/2013/09/15/medical-examiner-in-zimmerman-case-sues-for-100-m-claims-prosecution-threw-case/ regarding the medical examiner’s lawsuit in the Trayvon Martin case which claims that the prosecutor deliberately threw the case. 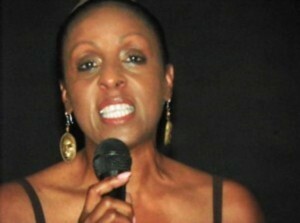 Maryanne Godboldo speaks at rally July 7, 2011. In Ariana’s case, her mother Maryanne Godboldo was arrested in 2011 after a night-long stand-off with police and a child protective services worker who sought to seize Ariana based on what was held by two judges to be an illegitimate document not even signed or reviewed by a judge. The CPS worker wanted to force Godboldo to put her daughter back on a dangerous drug not approved for use in children or youth. Those judges, 36th District Court Judge Ronald Giles and Wayne County Circuit Court Judge Gregory Bill, emphatically dismissed serious criminal charges against Godboldo. Worthy appealed their decisions and an appeals court ruled in her favor, re-instating the charges. Most of Worthy’s top prosecutors are white males who live in Oakland County. 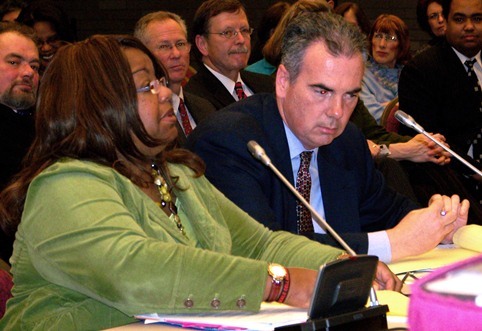 Worthy has never prosecuted a Detroit police officer in a killing other than Weekley, although there have been many other cases of unjustified killlings by Detroit cops while she has been in office. Statements from so-called “advocates” for Renisha McBride that they have “faith” that Worthy will enact justice in this case are, sadly, likely to prove unfounded.